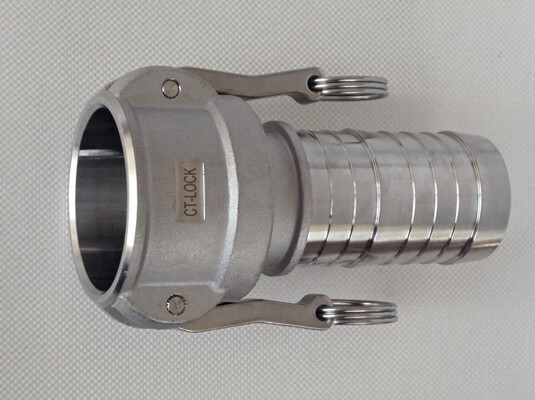 Flexiducting have a range of material handling hose for abrasive products and bulk handing such as cement, grains, concrete pumping, pellets, and for various mining applications such as sand or slurry discharge. A lightweight and abrasive resistant seed drill hose & Grain Transfer Hose. This ducting is suitable for transfer and medium duty suction of seed, grain, dust and other dry abrasive materials. Abrasion resistant dry-bulk material hose designed for transferring dry bulk material such as cement, sand, lime, fertilizers, urea, pellets, grain etc. 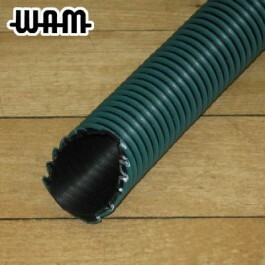 This is an anti-static hose and is designed to resist cutting and abrasion. Cover is abrasion, age and weather resistant. 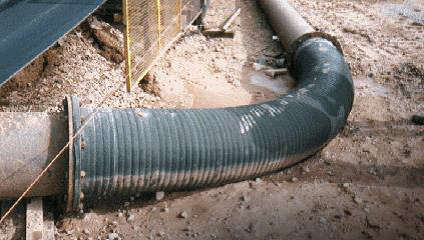 Flexiducting New Zealand Bitumen Hose Supplies. We offer our Composite Bitumen Transfer Hose Assemblies for the suction and delivery of Tar, Hot Mix Asphalt and Bitumen at elevated temperatures. Other hoses are available for bituminous materials and mixes including metal braided hoses and rubber hoses for bulk materials and aggregates involved with road surface and road building operations. 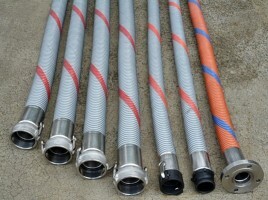 Flexiducting are suppliers of Concrete Pump Hose for operators throughout New Zealand. 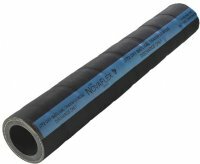 We offer a high pressure, heavy duty concrete pumping hose from NovaFlex for concrete placement and transport. 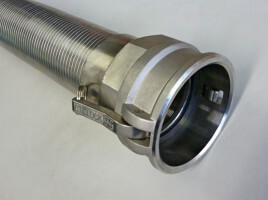 We can supply as an assembly with factory fitted ends to suit your application or as hose only. Flexiducting supplies Novaflex Rubber Concrete Placement Hose. This Concrete Hose has a smooth and controlled concrete flow that practically eliminates splatter and boom bounce. Built-in nozzle has less weight at boom tip. Handles and maneuvers with ease. Supplied with factory crimped end fittings. Flexiducting supply custom engineered Dredge Hose assemblies to suit dredging operations for suction and discharge applications throughout New Zealand. 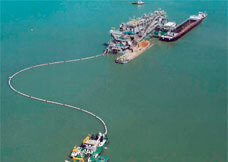 We offer a range of dredger hoses for onboard dredging applications and pontoon lines where heavy duty mandrel built dredging hoses for suction and discharge are required for dredger systems. The Outback high pressure mining hose has been specifically designed for use in highly abrasive applications such as sand and gravel pits, glass and mineral processing plants. 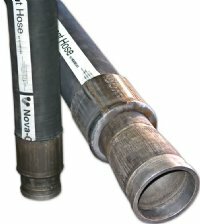 With a tough Neoprene cover this hose is suitable for use in the most demanding of environments.